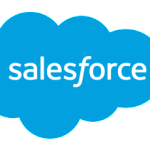 Yesterday, Salesforce introduced a new integration of Desk.com with SalesforceIQ. This integration will help small and medium-sized companies (SMB) to realize customer service and sales in a smarter way. Desk.com is an all-in-one customer service app for fast-growing companies, while SalesforceIQ is an easy, proactive and intelligent sales solution to SMB to help close more deals. Bringing these two together can supercharge service and sales teams. Today’s customers expect companies to deliver fast and personalized experiences to across every channel, at any time. However, almost 80% of SMB don’t meet customer needs because they don’t connect essential business apps, Salesforce reasoned. SMB teams often have a siloed view of the customer, resulting in missed growth opportunities for the company. 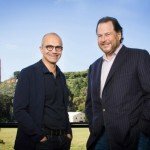 By bringing together Desk.com and SalesforceIQ, Salesforce is not only breaking down the barriers between service and sales teams to provide a unified view of the customer, but also giving SMBs the power of Relationship Intelligence to grow their businesses. Relationship Intelligence from SalesforceIQ leverages data science to automatically capture, analyze and surface information that is relevant for customer relationships from email, calendars and more. It seeks out the patterns needed to provide insights into future outcomes and proactively recommends actions to build stronger relationships with customers. Relationship Intelligence sets a new standard for sales solutions with SalesforceIQ, and will deliver new breakthroughs for service organizations. Smarter Customer Service: With SalesforceIQ available directly within Desk.com, agents now have a complete view of the customer across both sales and service. Service agents can automatically see sales activity and insights like the next sales meeting scheduled, size of the opportunity or inactive days, enabling them to deliver smarter service and build long-term customer relationships. For example, a service agent fielding an inquiry can see when there’s an important deal on the table. While these insights help the agent provide a more tailored service experience to the customer, they also break down silos between service and sales teams. The service agent can now flag the customer’s latest service case for the sales rep, providing deeper insights to the sales rep so they can close the deal faster. Stronger Sales Insights: With the new integration, sales teams have access to the same customer health information that service agents have, providing a centralized view of the customer. SMBs can pull customer service data from Desk.com directly into SalesforceIQ, empowering sales reps with the critical information needed to build deeper relationships with their customers. For example, a sales rep can now see whether a customer or prospect has any open cases or experiencing service issues. This integration makes it possible for sales reps to more effectively prioritize and interact with their open opportunities based on the number of cases the customer has open in Desk.com, enabling them to deliver a better experience from end-to-end. Connected Service and Sales in Seconds: Now, SMBs don’t need to spend time and money on custom development to connect service and sales. With the new Desk.com and SalesforceIQ integration, service and sales teams can deliver a cohesive experience for their customers with an easy, out-of-the-box integration that can be set up in seconds. “Small businesses may have fewer resources than their larger counterparts, but with Salesforce, SMBs have a competitive advantage. By bringing together SalesforceIQ and Desk.com, we’re helping them deliver smarter customer engagement to fuel their growth,” said Leyla Seka, general manager and senior vice president of Desk.com, Salesforce. “​SMBs need to look at new ways to tie information and business systems together, and our research shows how the adoption of new technology solutions can contribute to bottom​ ​line growth. We’ve seen that SMBs who implement solutions that offer more intelligence about the customer see 25-30 percent higher margins. This proves that better and faster access to insights and processes gives those SMBs an edge in their growth and better ability to compete against larger firms,” said Rebecca Wettemann, industry analyst at Nucleus Research. Desk.com is the all-in-one customer support app that empowers fast-growing companies to instantly deliver exceptional customer support and get a help desk up and running in hours or days. Fast-growing companies are using Desk.com to deliver amazing customer support. 27% decrease in support costs. This is according to research report* commissioned by Desk.com. According to SalesforceIQ, it’s the future of selling for every business. 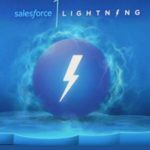 Powered by Relationship Intelligence technology, SalesforceIQ utilizes advanced data science to help companies connect with customers in a whole new way. SalesforceIQ for Small Business is the smart, out-of-the-box sales solution tailored for SMBs. It automatically captures all relevant information and surfaces the most important insights, allowing SMBs to accelerate pipelines and focus on closing deals. 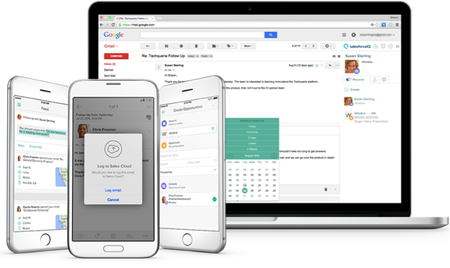 SalesforceIQ for Sales Cloud for larger companies provides every Sales Cloud user with an intelligent inbox that integrates CRM data with email and calendar, allowing reps to sell smarter from everywhere they work. SalesforceIQ helps customers drive more revenue and save hours of time, all while making their jobs less work. 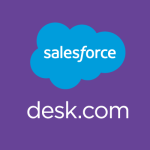 The integration for Desk.com and SalesforceIQ will be available immediately. 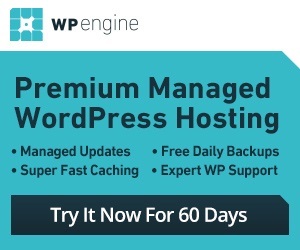 It will be included with Desk.com Pro and Business Plus Editions and with SalesforceIQ Growth and Business Plans. *The full report, “Desk.com Customer Survey: Results & Analysis,” is available for download at the desk.com website.